A lot of excitement is being generated recently with news that a new iPhone is set to be released next year together with the Apple watch 2. With the iPhone 6 and 6s just launched recently, Apple doesn't seem to be slowing down in coming up with new devices to release in the market, at least with the rumors going around saying that Apple will release the iPhone 7 by September 2016 with the release of the Apple watch 2. These rumors would only be plausible if Apple sticks to its usual schedule of releasing their devices during the fall. PC Advisor suggests a release date of the iPhone 7 on Tuesday, September 9 or Tuesday, September 16 in the UK. Aside from the rumored release date, there has also been talks about what the iPhone 7 will be bringing in when it finally hits the market. One of the most resounding rumor of all is that it will be water proof. Geek Snack said that if the rumor is true, it could also mean that the soon to be released iPhone 7 will not be made of metal but plastic. 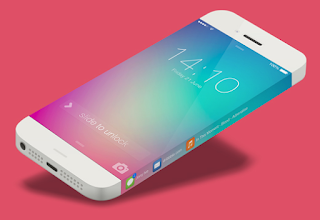 Speculations about what the iPhone 7 specs could be are rife. Some are saying that the new Apple device will have an A10 system on a chip (SoC), built into a super thin 6mm frame. Rumors are also saying that the new iPhone 7 will have a 2K display, a speaker in front, and an 8 megapixel camera for selfies. The new Apple device is also said to come with a wireless charging puck and with a fingerprint reader. Apple has been working on the iPhone 7 for more than a year now, so there is a possibility that these rumors could be true, or not. Like always, rumors such as these should be taken with a grain of salt. Nothing could be true unless Apple itself confirms the truth behind these rumors. The iPhone 6s and 6s Plus looked largely similar to the 6 and 6 Plus, which is usually the case with Apple's 'S' models. This may mean, however, we see something completely new for the iPhone 7, although it's very likely that it too will come in Silver, Gold, Space Grey and Rose Gold. We'll look at some of the rumoured design changes below. With the iPhone 6s and 6s Plus Apple finally budged on some of the specifications it has refused to change for years, such as the 12Mp iSight camera, up from 8Mp in the 6 and 6 Plus. It's likely that Apple will stick with that 12Mp camera for some time to come, although one thing it still refuses to improve is the screen resolution. With rival smartphones now offering Quad- and Ultra-HD screens, we hope that Apple might bump up its pixel count in the iPhone 7 - perhaps to the 400ppi level of the Plus models. Expect the usual performance upgrades, with the new Apple A10 processor and embedded M10 motion co-processor. The iPhone 6s and 6s Plus were the first iPhones to finally get 2GB of RAM, and expect this to stay the same in the iPhone 7. The iPhone 7 will ship with iOS 10 installed. Expect Apple to unveil iOS 10 (or iOS X?) at WWDC in June 2016. When Apple announced the iPhone 5 with a new style of power connector it angered many fans who would now need to purchase an adaptor to fit their old accessories. We could be about to see Lightning-gate all over again with headphone-gate, as it's rumoured that Apple will shake things up once again with a new style of headphone jack, leaving older accessories incompatible. According to Apple Insider, Apple has patented a new slimmer headphone jack technology called D Jack, which has a diameter of just 2mm. 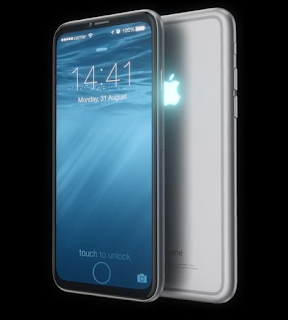 iPhone 7 with waterproof protection? It's possible the new iPhone 7 could be waterproof. In March 2015 a new patent revealed that Apple is investigating ways to make future iPhones waterproof without needing to compromise on the design, a change that never made it into the 6s and 6s Plus. Instead of adding armour to the outside of the iPhone to protect it from water, the method would coat electronic components found inside the iPhone in a protective waterproof material that would prevent them from getting damaged should water find its way in. Clever. iPhone 7 to get an e-SIM? Another touted feature for the latest iPhone that didn't see daylight and may be reserved for the iPhone 7 is that it will have an e-SIM. Recent reports suggest that it could be the end of days for the traditional SIM card, with a possible introduction of a simpler option. An e-SIM is an electronic SIM card which would replace the physical SIMs used today and instead will opt for a virtual embedded equivalent. Rumours suggest that both Apple and Samsung are in talk with the GSMA (organisation that represents the interest of mobile operators) to use a standardised e-SIM in future handsets. What are the benefits of having an e-SIM? First things first, it'll make switching carriers easy and should allow for more flexible roaming. The idea is that with a standardised e-SIM, you'll be able to make a call and switch operators without having to insert a specific SIM card. This idea translates to roaming too, as it'll be much easier to switch to a local network if you're looking to spend a long period of time in a particular country. You can also wave goodbye to SIM adaptors! If you've ever had to go from a nano-SIM device to a micro-SIM device, you'll know exactly what we mean. iPhone 7 with sidewall display: Apple's answer to the Galaxy Note Edge, S6 Edge and S6 Edge+? There are some rumours to suggest that the iPhone 7 could have some new design features, though we'd take these rumours with a pinch of salt. The speculation about a new design stems from an Apple patent that was published in 2015. It describes what Apple calls "sidewall displays," similar to the display found on the Galaxy Note Edge, S6 Edge and S6 Edge+.